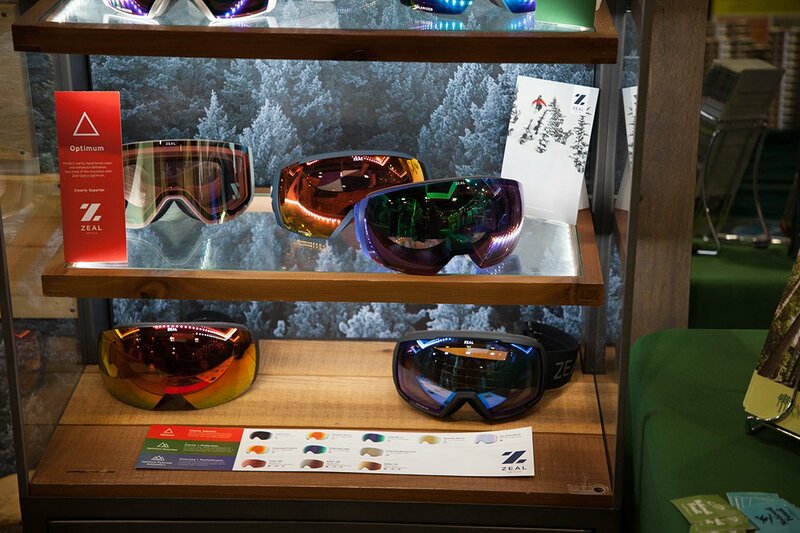 It seems as though Outdoor Retailer + Snow show fell perfectly between massive storms moving through the Western United States. Which was perfect for the yearly gathering to congregate and share what is new for 2020 season! 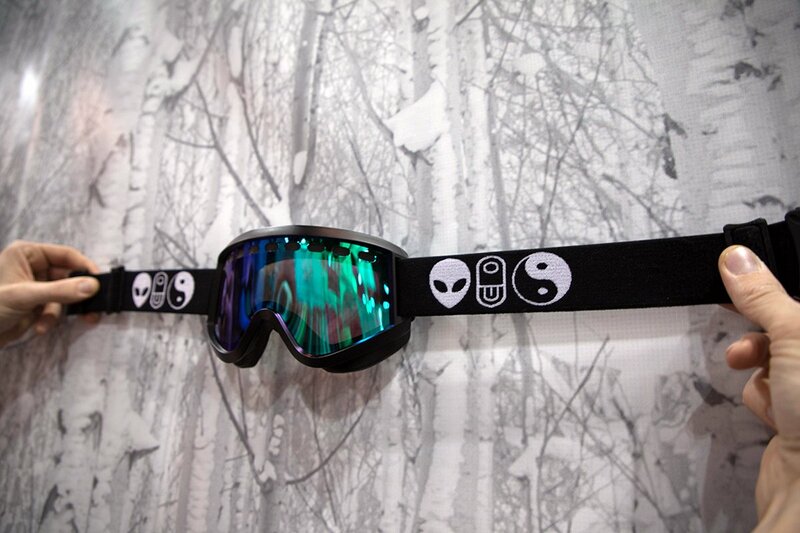 Here is a preview of some of the 2020 snowboard goggles you’ll want to be hitting the slopes with. 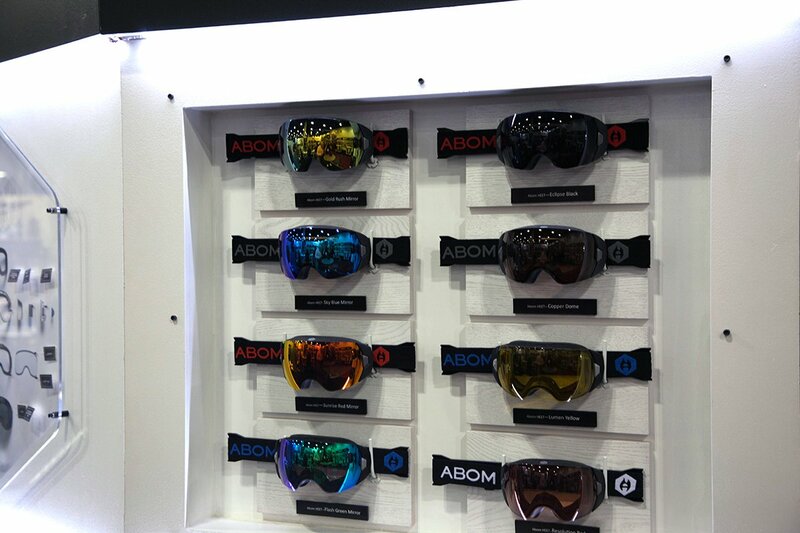 Changing the game as far as electronics incorporated into a google, Abom has a heating element inlaid into the lens to eliminate any sort of fog you may produce while skiing, riding and mainly snowmobiling! I think this application would be a huge hit with the slednecks! One of my favorites, a simple yet effective design. 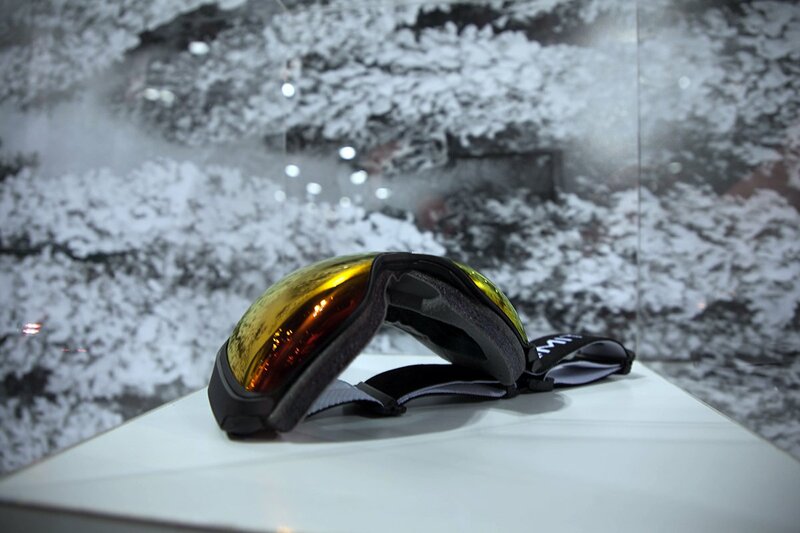 Vented lenses, good peripheral vision, and indestructibility. 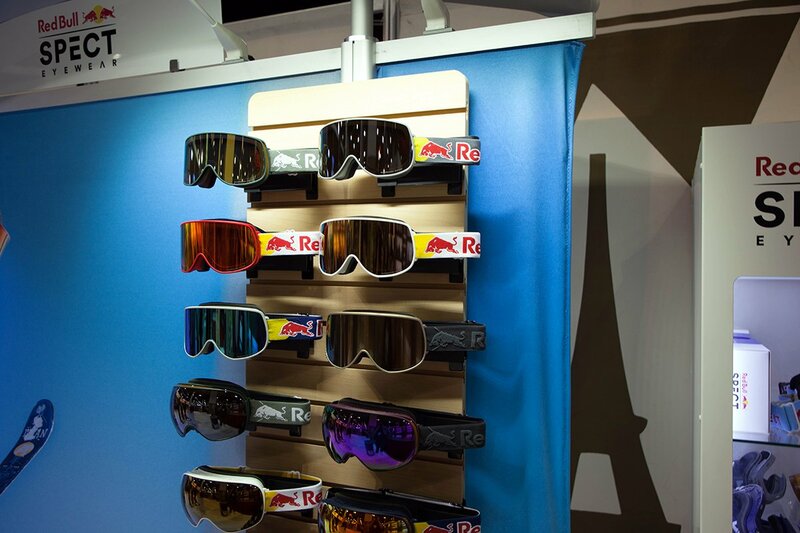 Plus they always seem to have rad designs. 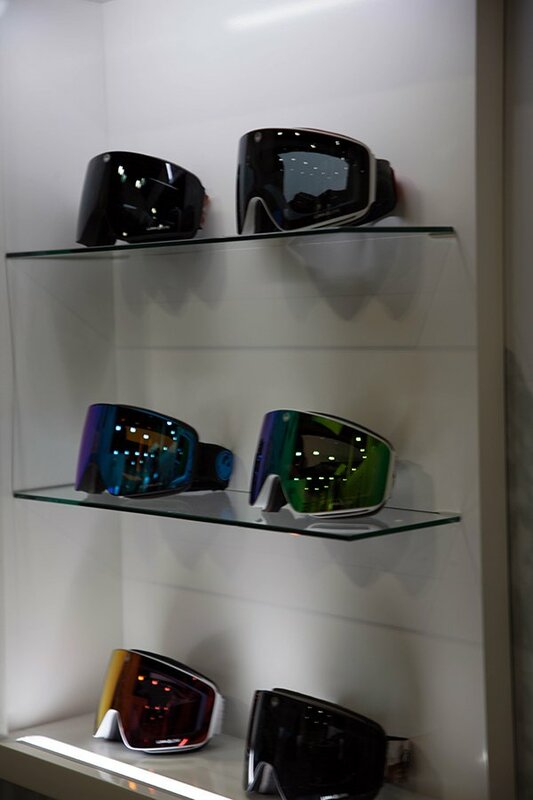 With Lumalens they are adding in some new colorways as well as keeping their line of frameless goggles looking nice and sleek! 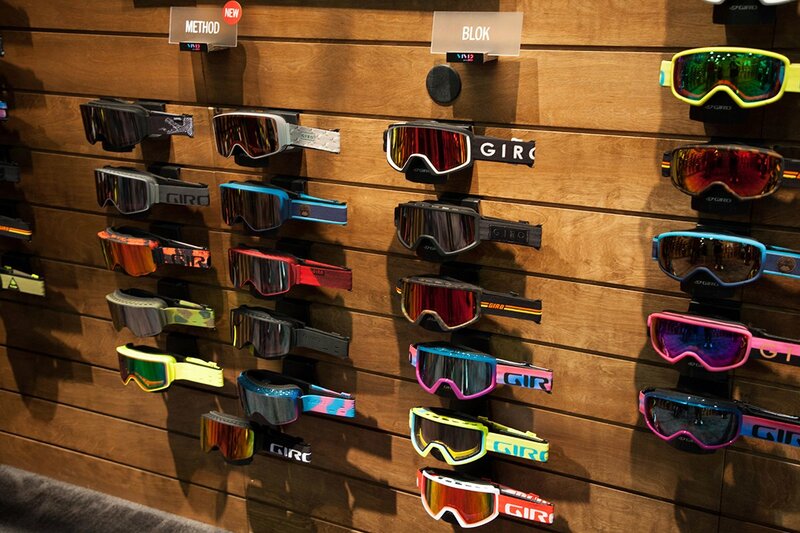 Giro is staying strong for 2020. 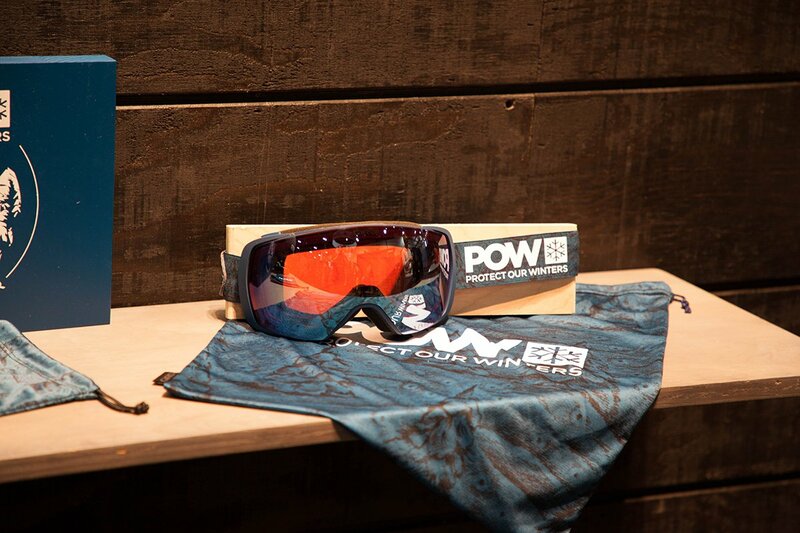 They are releasing a great POW x Giro collab. 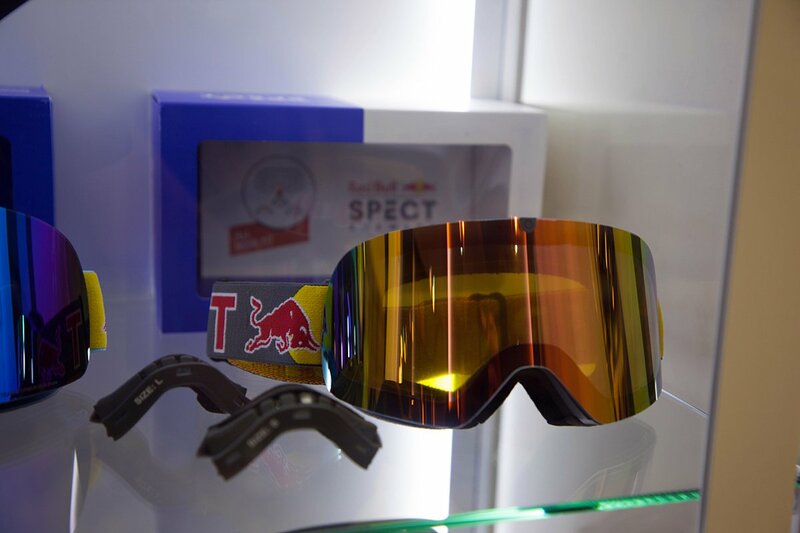 As well they are releasing their new frame the method, which I think is a more sleek,bigger framed version of the semi. 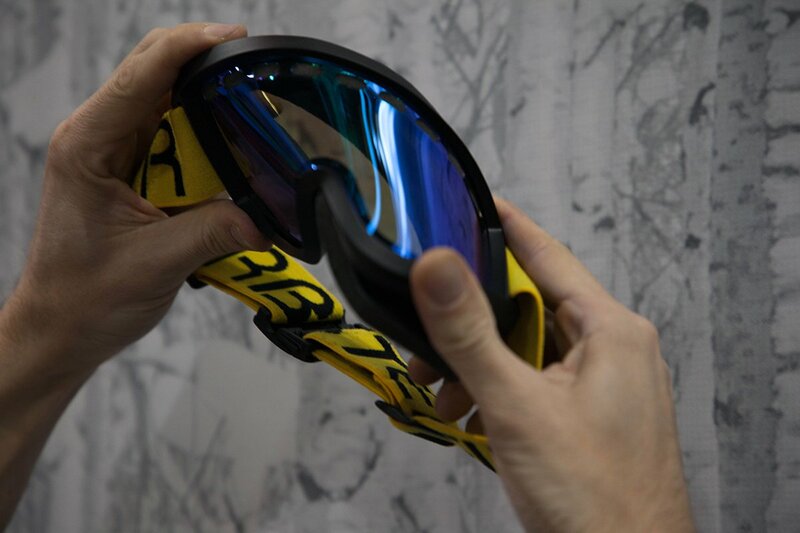 They are also dropping their adapt strap, which allows you to buy different colors and styles of straps for your google to customize your goggles down to the last detail. 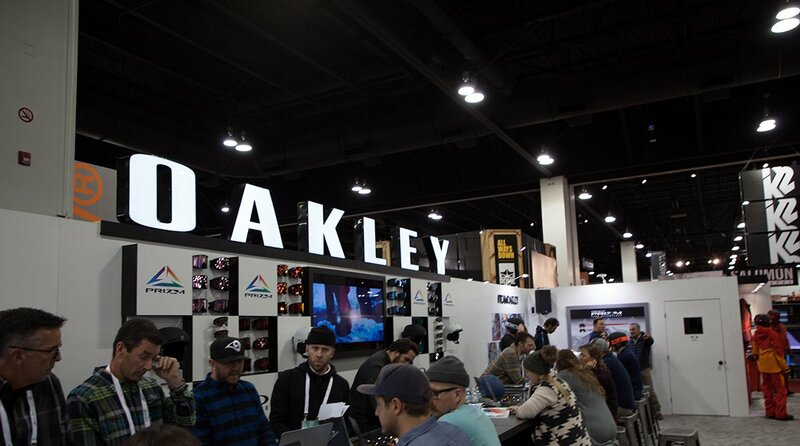 This booth was cranking the whole show. 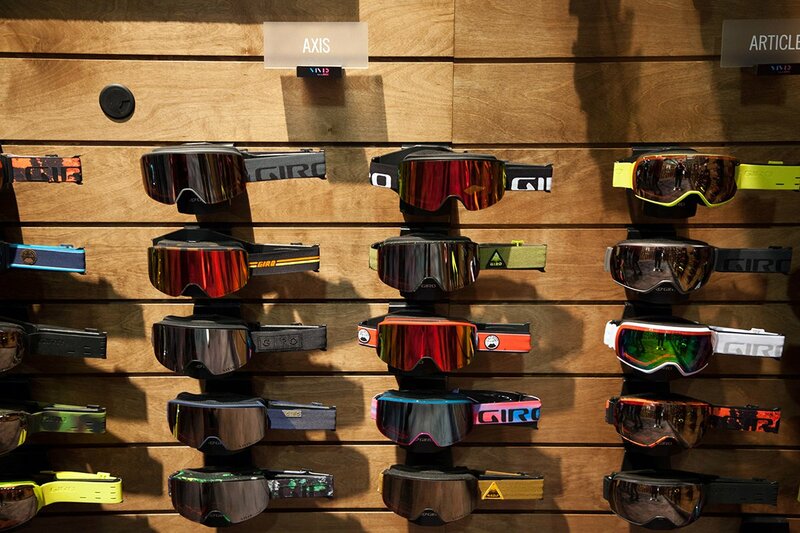 I was able to get a quick hands-on their new goggle tech. 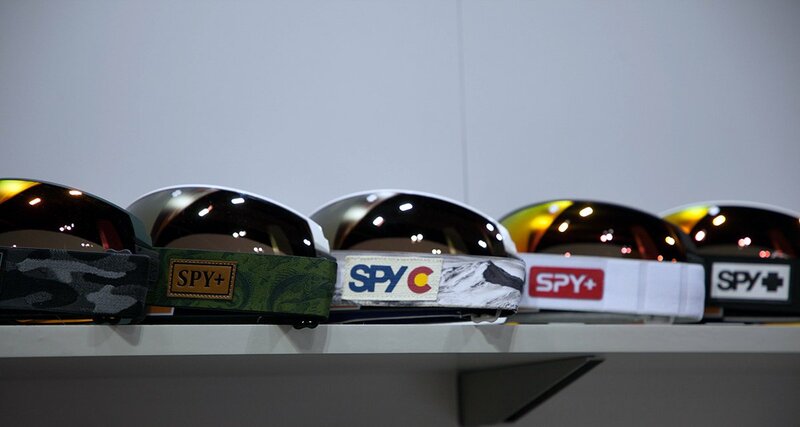 Similar to Spy, they have a lens that with the click of a button changes from low to highlight. 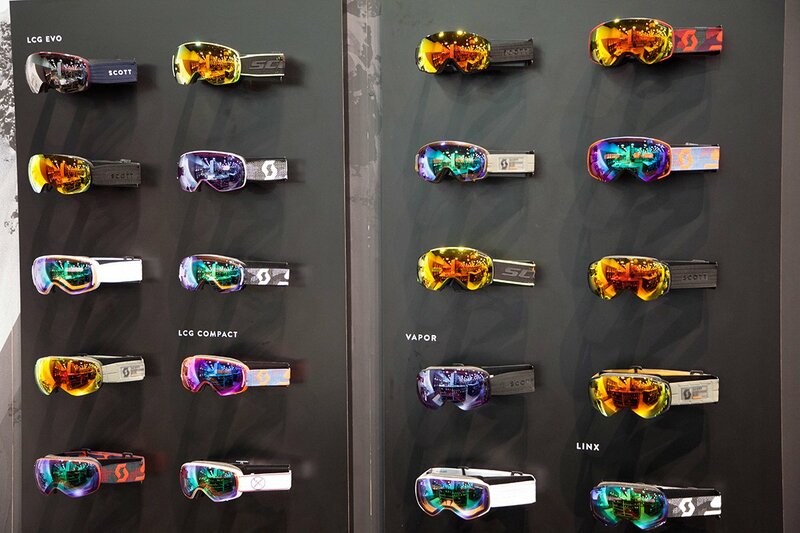 The incredible thing about Oakleys is the fact there is no battery pack on the strap. 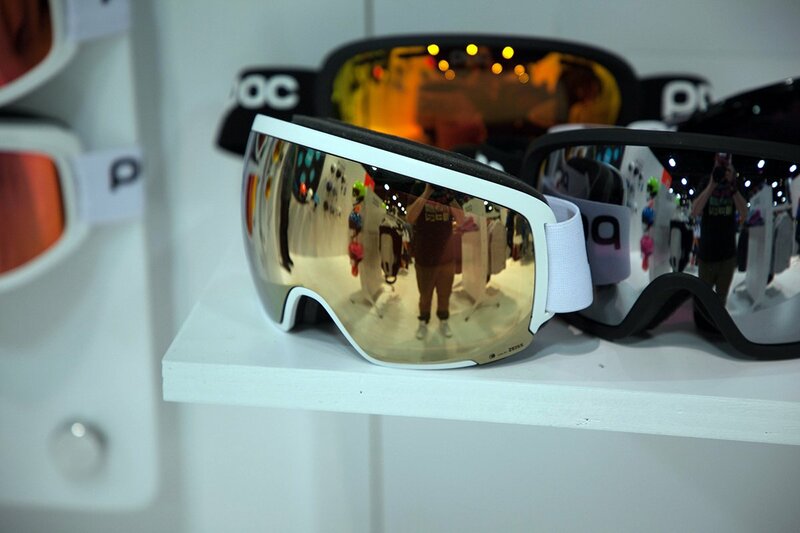 It looks just like a normal Oakley goggle. 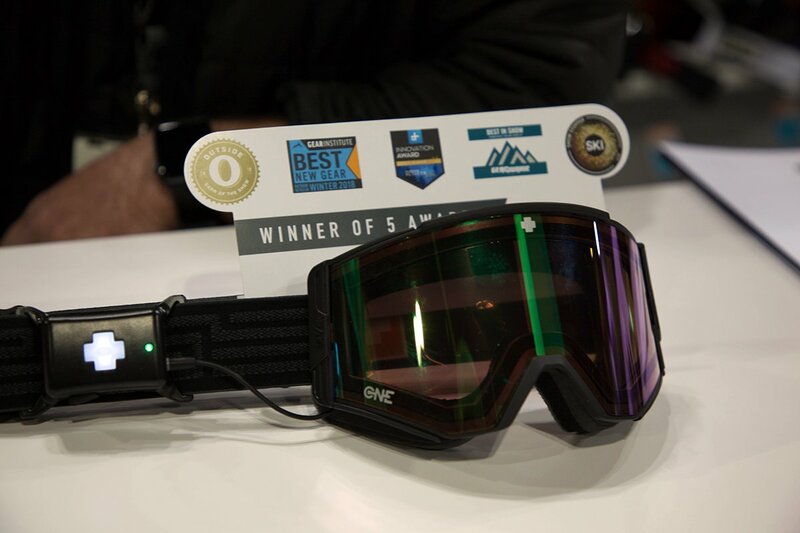 I think that is going to be a huge hit, has the tech, with a little less of the bulkiness the battery pack puts on. 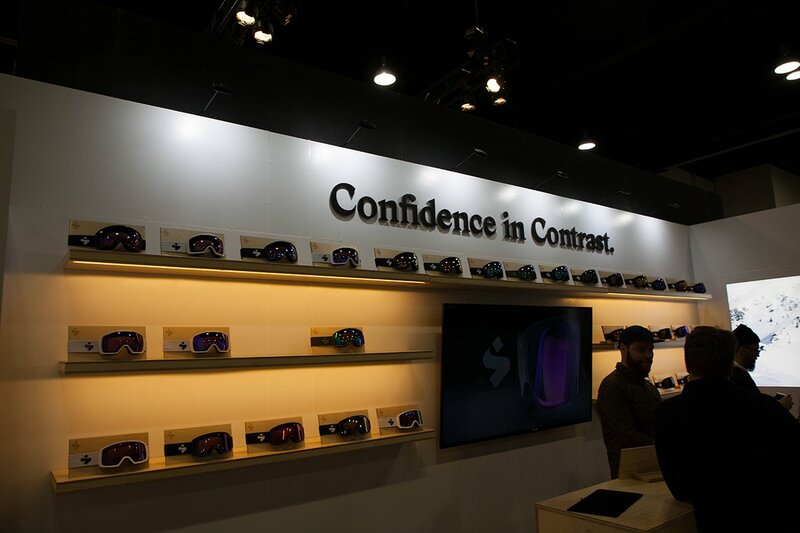 I got a few minutes to check out POC’S lens comparison stand, between their clarity and clarity comp lens. A simple yet classic look as POC is known for. Unfortunately was not too happy to explain the tech when they realized I did not have an appointment. 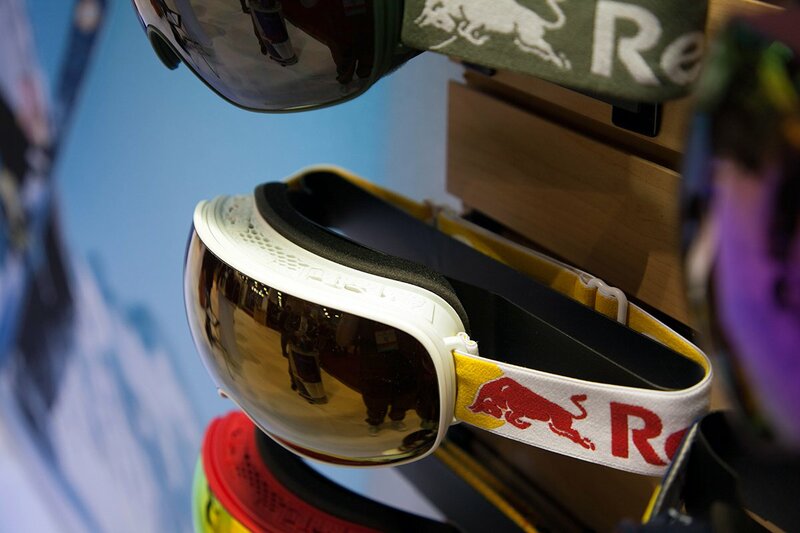 These goggles are pretty interesting. 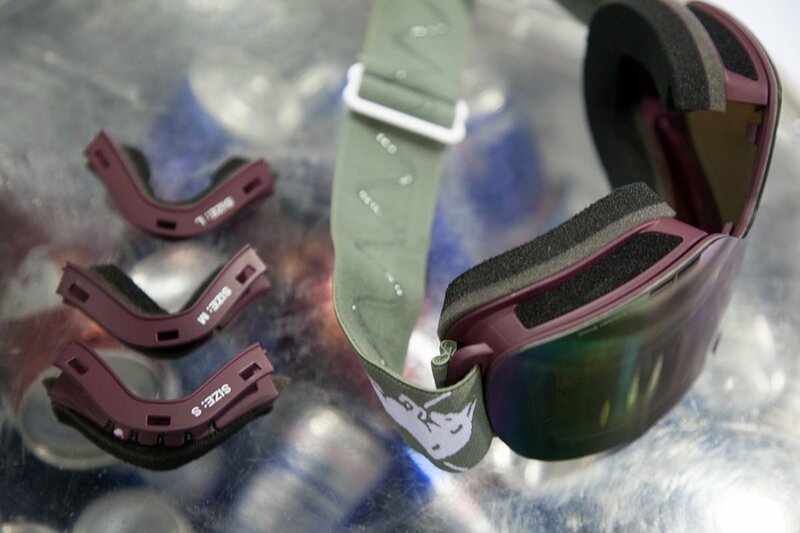 So not only do they incorporate the magnetic lens similar to Anon, but it also includes plastic vents on the top to eliminate the icing up of foam and the one thing I thought set them apart is the 3 sided removable and interchangeable nose pieces. 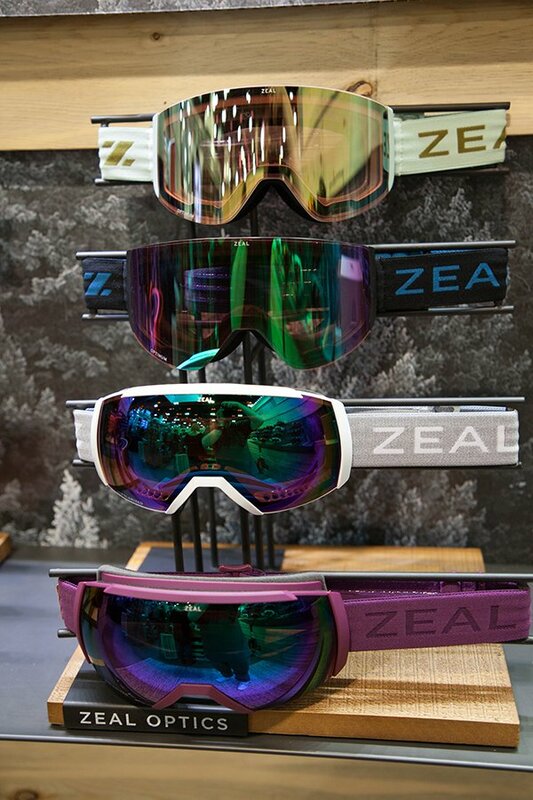 With the goggle you get a small, medium and large nose inserts to adjust to your face specifically! 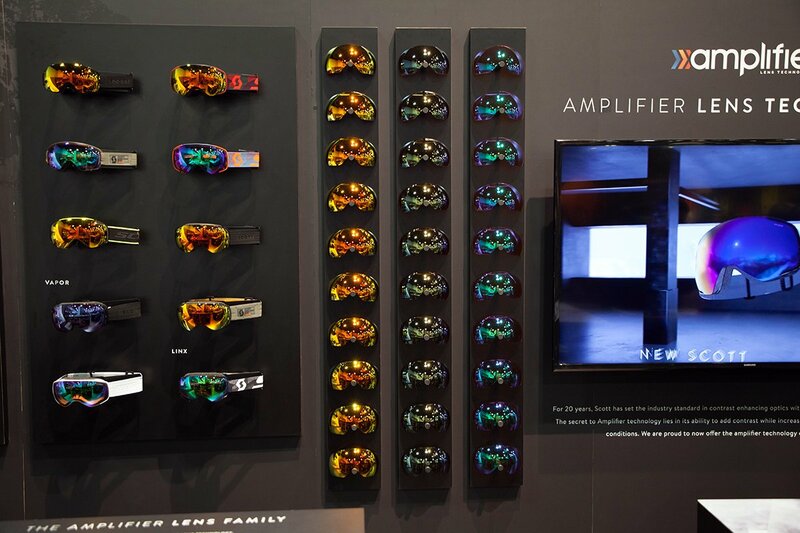 Scott is bringing the Amplifier lens tech to the market. 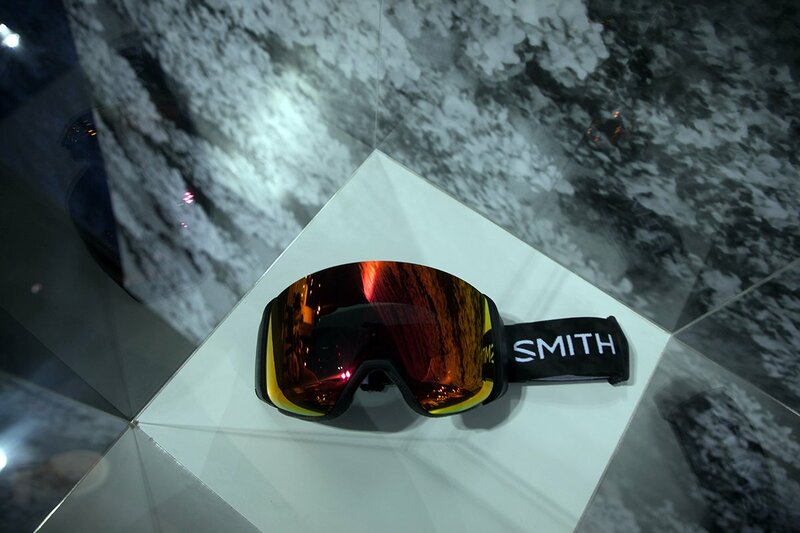 Similar to the Prizm, or Chromapop, Scott seems to be joining suit with the tech! 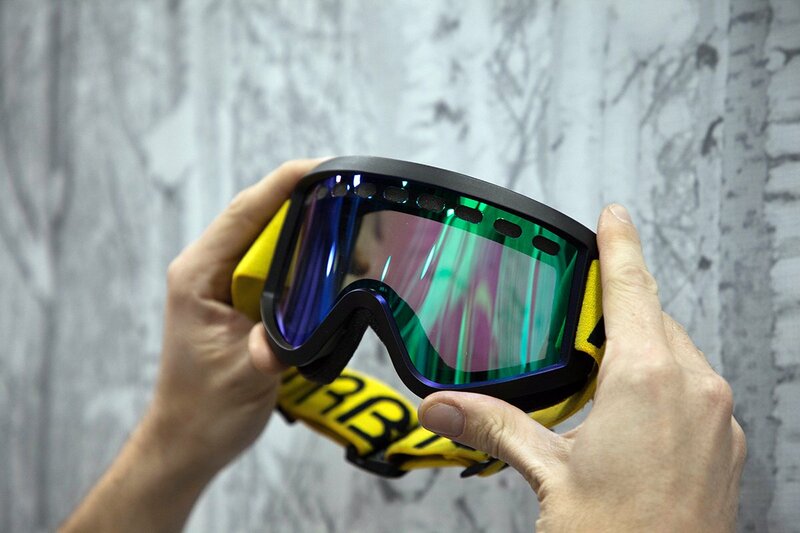 4d mag. 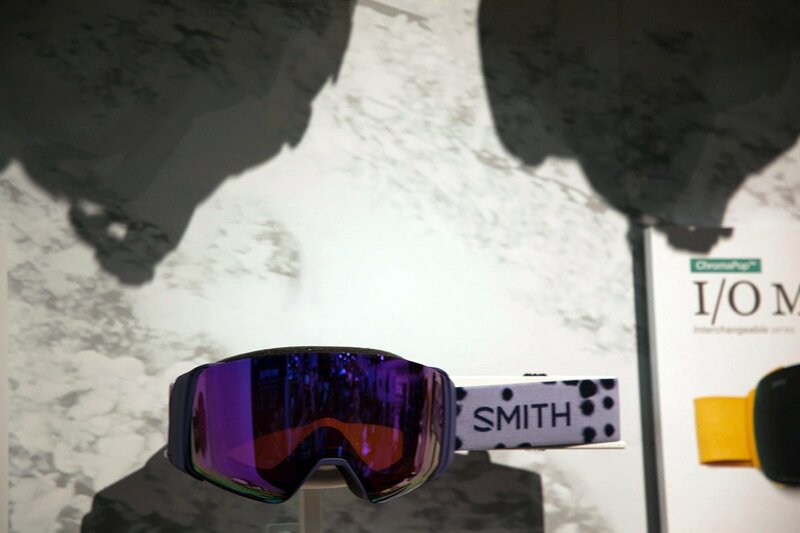 Incredibly sleek, and also bringing a new level of definition and magnetic lens into the game is Smith. 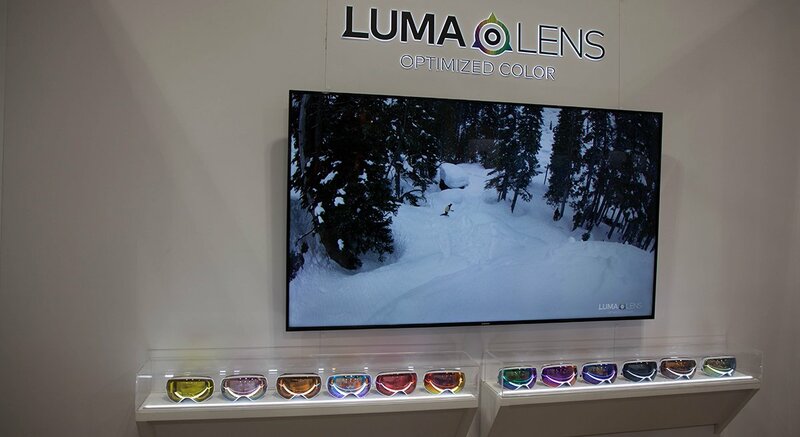 With Chromapop in the lens’ and the even quicker ability to change lenses, it is one to keep an eye out for! I also did see they are releasing and IO MAG XL. A bit bigger fit then this season release of the IO MAG. 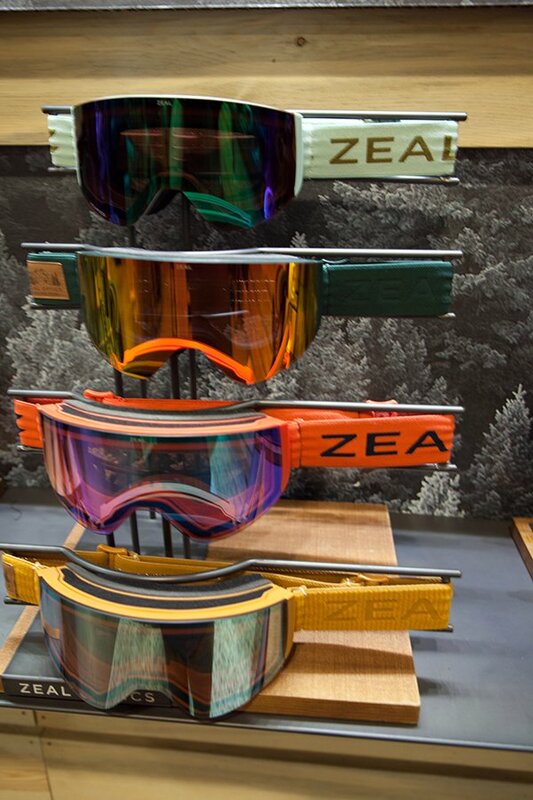 Zeal is bringing in a good amount of photochromic and polarized lenses into the range as well as easy to change clips on the lenses and a nice mix of framed and frameless designs. 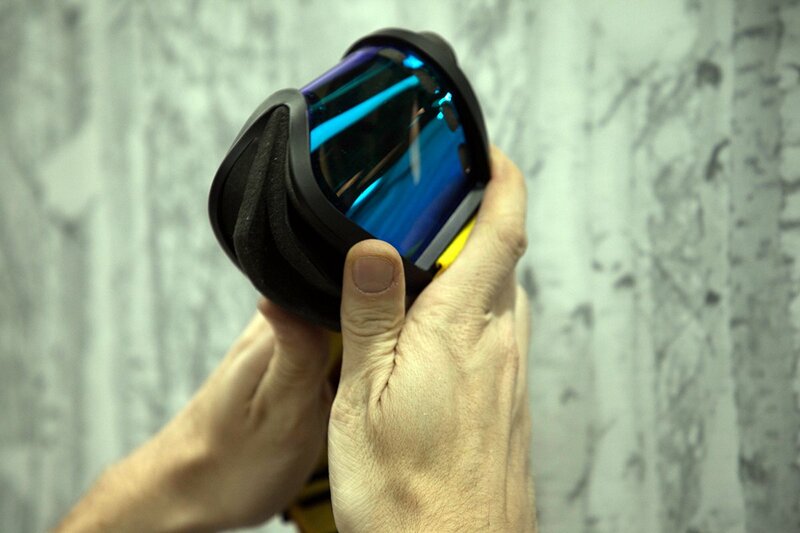 A classic functional goggle! 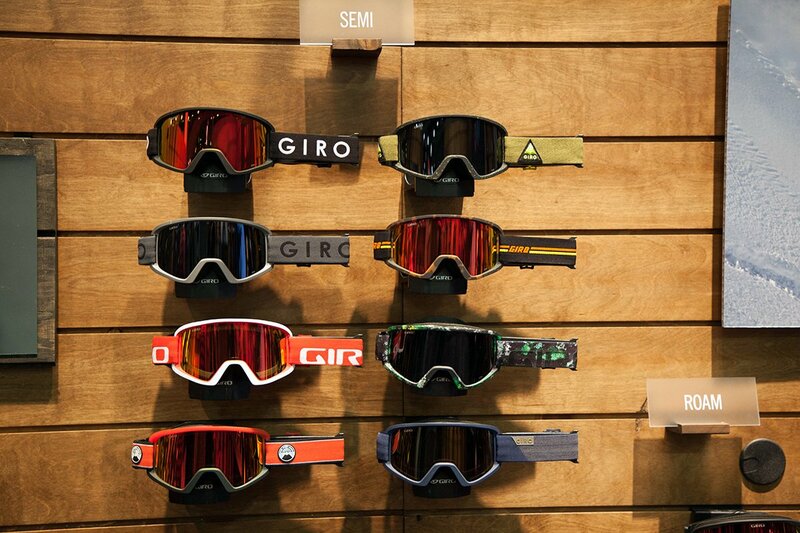 This is the first time I have been to the Outdoor retailer Snowsport show since they joined a year or two back. 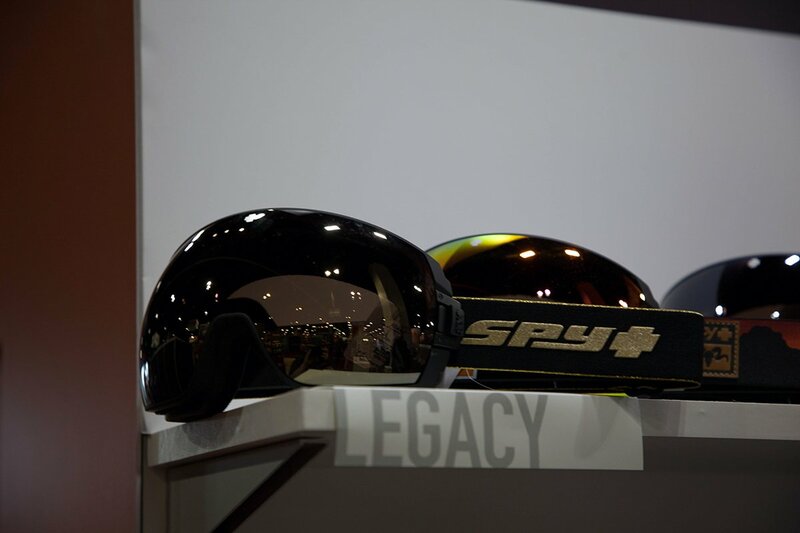 As welcoming as most the brands were, I was left with a bad taste in my mouth with several companies that wouldn’t give me 30 seconds of their time. Bummed on that. 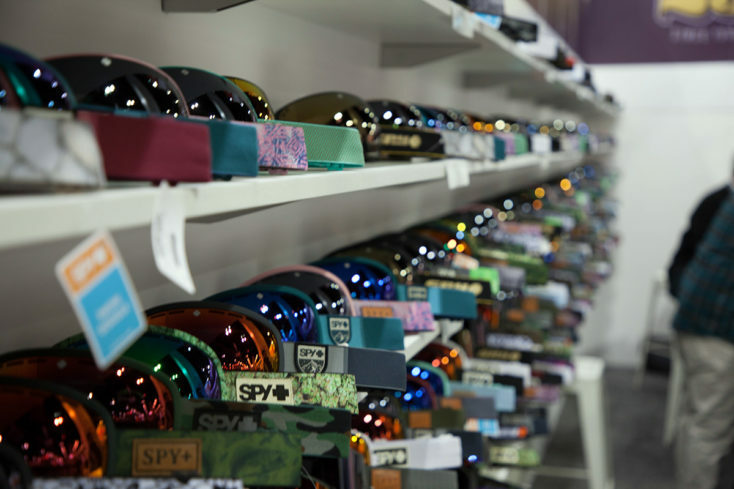 Looking for more 2020 Snowboard Stoke?